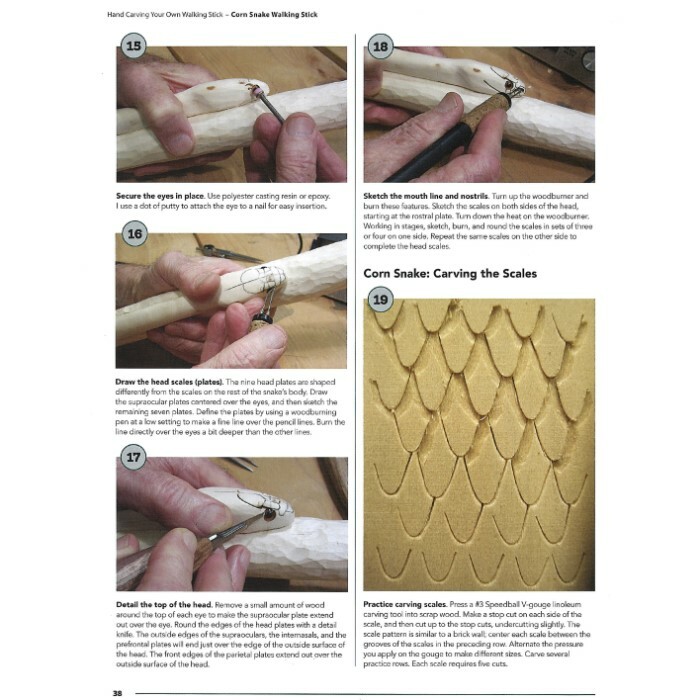 Hand-Carving Your Own Walking Stick Guide - Paperback, Full-Color Illustrations And Photos, 72 Pages - Dimensions 8 1/2”x 11” | BUDK.com - Knives & Swords At The Lowest Prices! Learn to carve beautiful wildlife-themed walking sticks with this informative and easy-to-follow book. 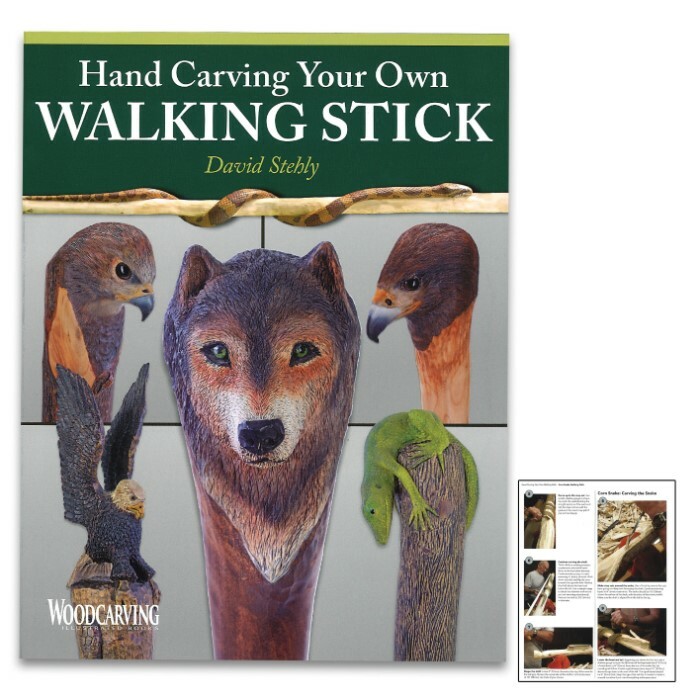 Hand Carving Your Own Walking Stick includes useful information on harvesting and curing wood, plus, advice on getting the best finishing results with paints, stains, varnishes, acrylics, and woodburning. 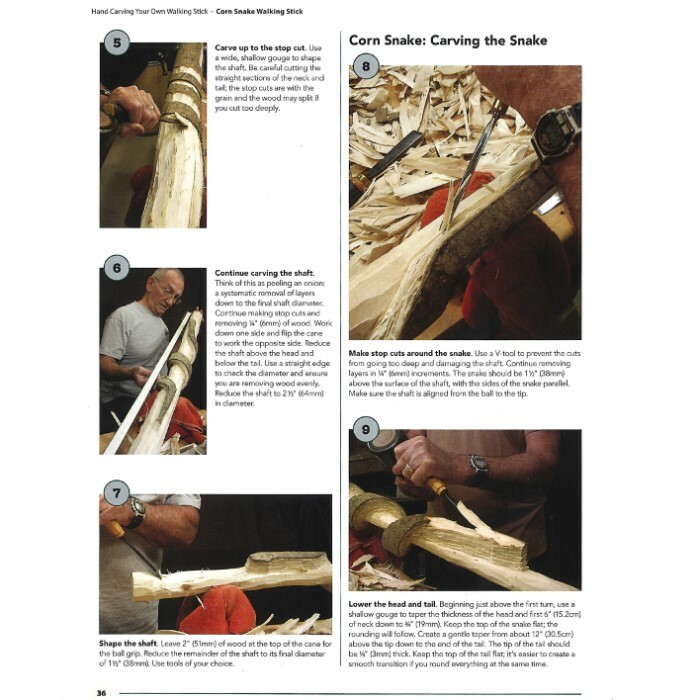 Award-winning woodcarver David Stehly walks the reader through the entire process of making artisan-quality sticks, staffs, and canes that are as functional as they are beautiful. Step-by-step projects and ready-to-use patterns make it easy to get started in this relaxing and rewarding hobby. An inspirational color photo gallery illustrates many of the author’s spectacular projects, including sticks adorned with lifelike lizards, magnificent bighorn sheep, leaping trout, and many more. A special focus is on carving realistic snakes that wrap around the sticks, all carved from a single piece of wood.